Making a trip down to the Philippines? Do you need a hotel or accommodation fast? Fantastic deals to help save you up to 80% on hotel, lodging and B&B. If you are looking for luxury hotel, cheap hotel, hostel, motel to even hotel discounts and last minute deals, then this is THE MUST HAVE TRAVEL APP! 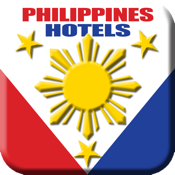 Philippines Hotels Booking will cater to your every accommodation needs while you are in the Philippines. Philippines Hotels Booking is FREE and lets you book now for today’s amazing deals. NO fees, NO mark-ups and it is FREE! Get the best hotel rates every time simply by searching your travel location, date and number of guests and Philippines Hotels Booking will find you the best deals in your desired travel destination in the shortest time. One search and our app will search and list down all the hotel accommodation and give you the best prices in one screen for all the fantastic deals.